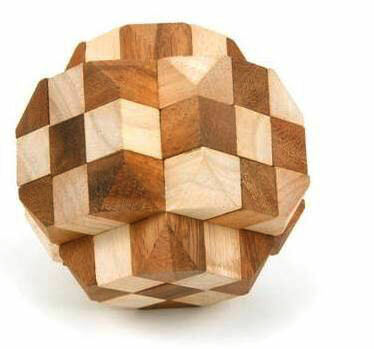 This 5" X 5" X5" Giant Wooden Brain Teaser Puzzle contains 33 pieces precisely cut and fastened together. One of the most difficult 3D puzzles designed for the talented puzzlers that looking for lots of challenge. This is one of our largest puzzles.